Local emerging artists showcase their work produced as the culmination of a two month mentored course with digital tutor Sam Meech. 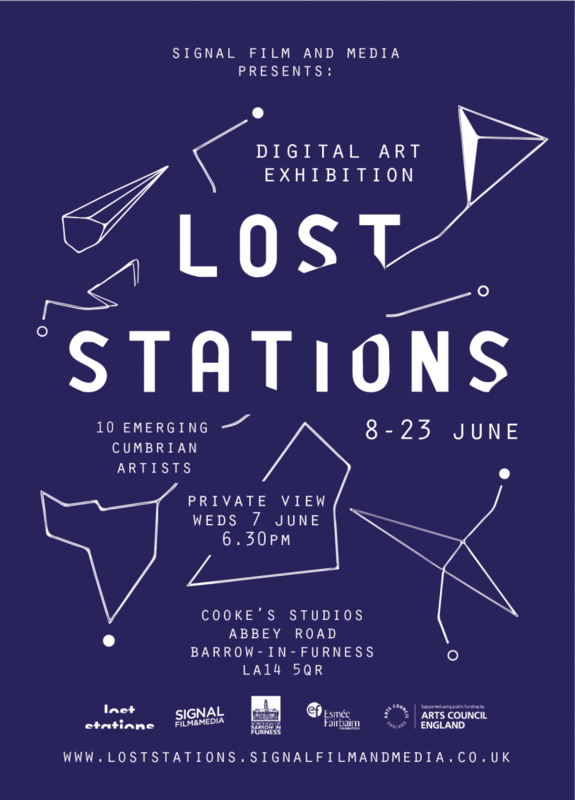 Expect to see exciting and innovative work from some of the county’s most talented up and coming digital artists, all focusing on their individual interpretations of the theme of Lost Stations. Please RSVP for the exhibition opening using the form below or by emailing joanna@signalfilmandmedia.co.uk.